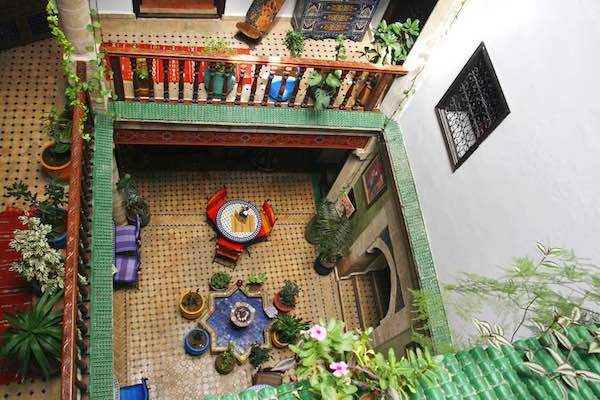 Moroccan riad is a kind of large traditional home that features an indoor garden. They are incredible to stay in because of the authentic experiences they offer. You can see the delicate intricacies of Moroccan architecture by looking at the astonishing tilework. 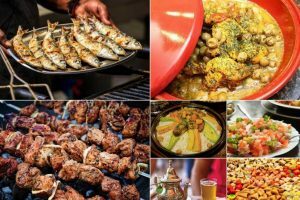 You’ll receive meals prepared at the riad by the resident chef; it will easily be the best food experience you’ve ever had! The main component of any riad is that they feature a large courtyard and an open ceiling in the centre. You will also generally find the courtyard has a fountain. Larger riads may even feature swimming pools guests can use. One of the more interesting features of riads is that they are built with a focus on facing inwards. A window in a riad will open towards the courtyard rather than opening to the outside. There are two key reasons for this design choice; the first is for privacy, something valued greatly by the Islamic people. 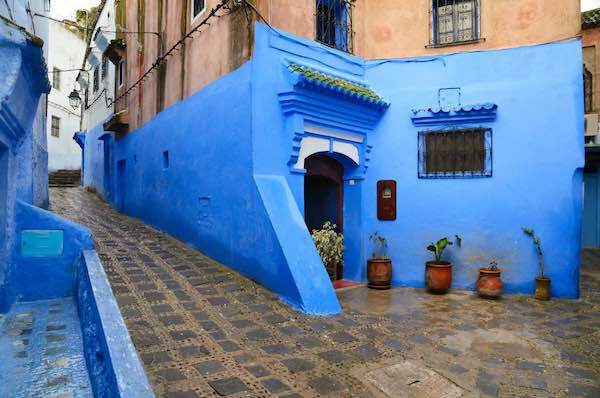 The other is that a large house built around a courtyard allows for air to flow into the house, which makes everything more comfortable during the hot summers of Morocco. 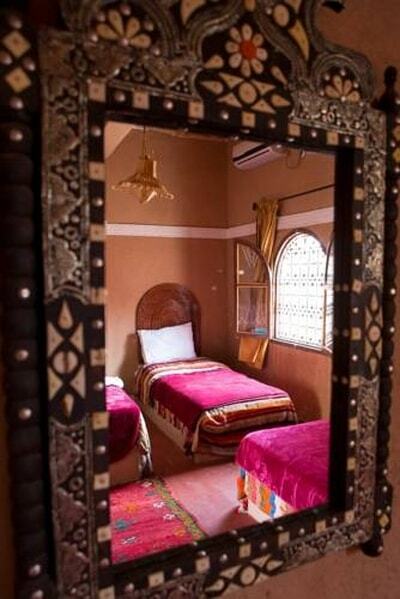 Unlike hotels, one of the more surprising features of riads is that they have few rooms. Riads will have less than ten rooms and suites overall. Each room will be furnished individually meaning that there will be plenty of attention to detail. This is the key difference between a riad and a hotel. Every room has a unique personality and features rather than giving each room the same décor. Picture vivid colours, great artwork, and titled sinks. You’ll be amazed by the woodwork and paintings of the room! The food you get in a riad is something you remember about your time in Morocco. The food is so good that everyone comes over for dinner! 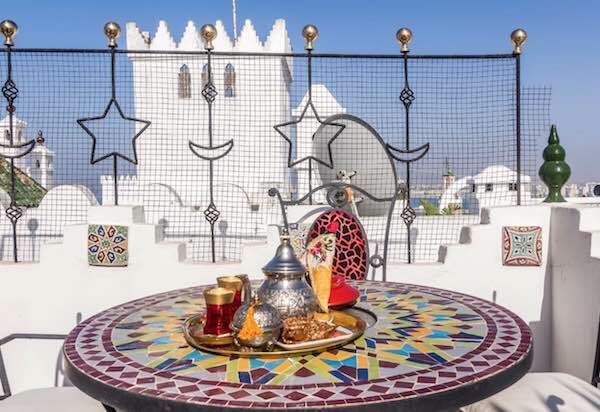 You can expect to be served a traditional Moroccan breakfast including fresh bread with jam and honey. You’ll also find some of the same breakfast foods you might find in a hotel buffet. You have to try the fresh orange juice and see how incredible it is for yourself. You can make some special requests for dinner to suit dietary requirements if necessary. 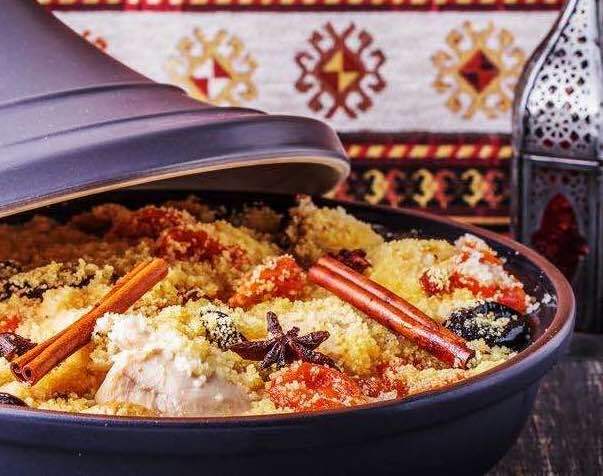 The meals served at riads will be made by local chefs and include plentiful traditional Moroccan food. There’s a good chance you won’t even notice that you’re looking at a riad even though you’re right in front of it. Moroccan doors tend to be made of wood with intricate carvings, and a riad is no exception. You may be surprised to find that a door as simple as this opens up to reveal an incredible guesthouse. Most riads only have a little sign on the street they are on to let you know what they are. 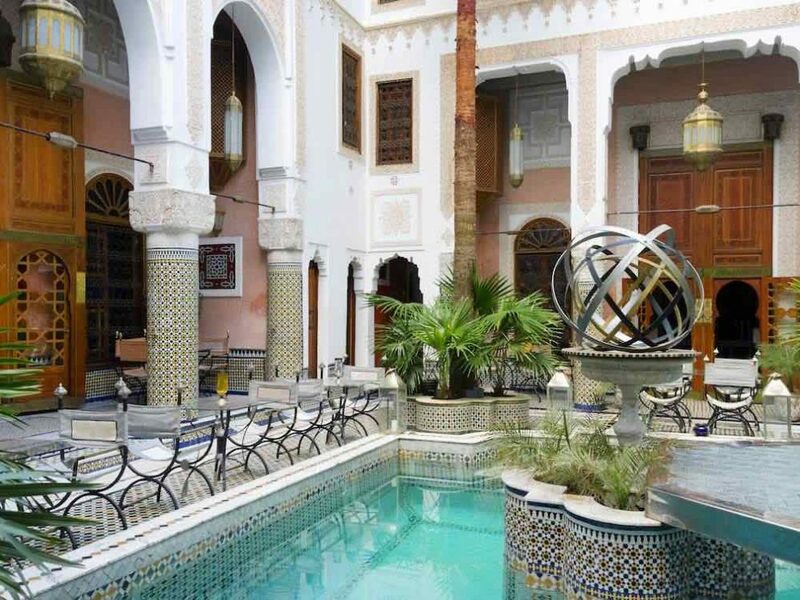 Riads can be found in old cities, right in the heart of the hustle and bustle of city life. Tourists appreciate having this peaceful getaway from the busy streets. Give that riads have a surprisingly small amount of rooms, you can expect a personalised, exceptional level of service. Guests that stay in a riad will always speak positively about the great level of attention they get from the staff there. 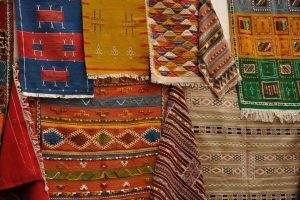 They are able to meet individual needs and clients leave feeling they met and got to know everyone working in the riad. This is something else that makes a riad such a different experience than a hotel and it’s one of the best parts about staying in riads. 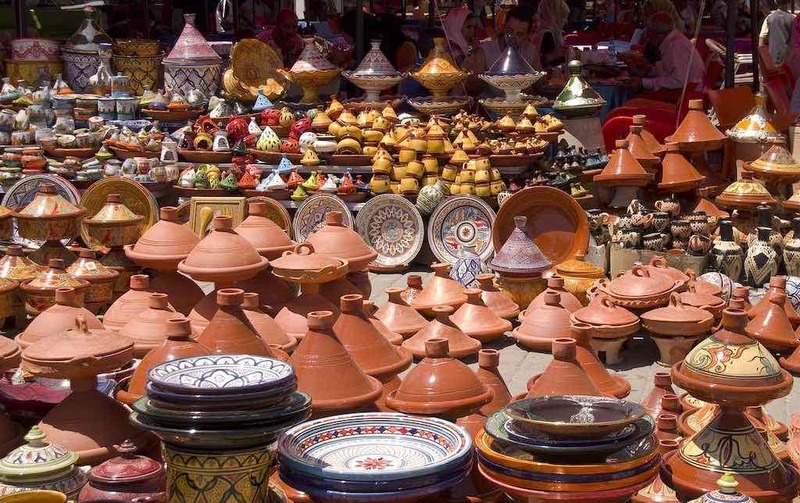 What about Medical Tourism in Morocco?